Game testing jobs are a very real thing, but they certainly are not brought to you in the form of a poorly created ad with a guy who can’t really decide whether he is excited or angry on the cover. No, this is certainly click-bait. 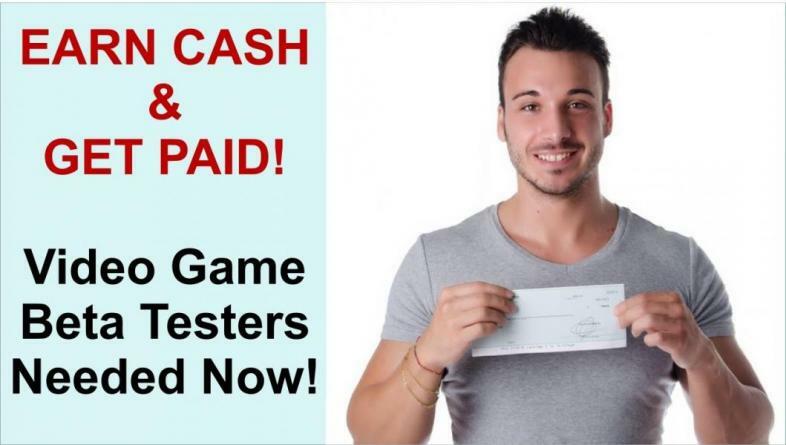 Start making money today, apparently with no experience required would be a red flag, but finding this graphic design nightmare of an ad on a random gaming sight you found searching for questions about 2017s best games should have been a dead giveaway. True game testing positions are better found on sights like glassdoor, and will usually require a solid resume, and possibly years of experience if you are looking for a high end position on a popular game company like Rockstar Games. Generally going to college for coding or in some cases game testing specifically will help you get started in this career, but that is not to say that a self taught individual could not find their way into this line of work. This is also possible, but will require a lot of extra determination. Whether you are a college graduate with a well rounded degree or a self taught genius with a hunger to enter the gaming career, you will more than likely have to go through a trial of working as a game tester for some company you have never heard of before or testing some game you would rather burn then spend another hour on. This is the way of the game however. You may not like what you are doing at first and you may feel as though it was all for not but the idea is to keep your head high and work hard in order to build a solid resume for the day the you try for the job of your dreams. I am a massive video game enthusiast who intends to experience every position of the gaming industry before setting out to create my own indie game company.